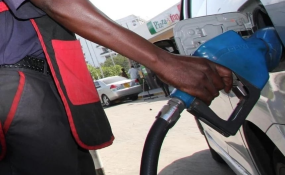 Nairobi — The outcry over rise in fuel prices is expected to play out in court on Tuesday even as commuters remain stranded after fares were hiked in various towns across the country. This followed the filing of two suits that seek to compel the government to stop the 16 percent Value Added Tax levied on petroleum products. In the suits by activist Okiya Omtatah and the Central Organisation of Trade Unions (COTU), petitioners argued that the move by the Treasury threatens the economic wellbeing of the public, with a negative impact on the costs of essential goods and commodities. Omtatah stated that the tax that was imposed on Saturday is untenable under the law, as it violates the Constitution. He named the Treasury Cabinet Secretary Henry Rotich, the National Assembly, the Commissioner General of Kenya Revenue Authority, Energy Regulatory Commission and the Attorney General, as respondents in the case.